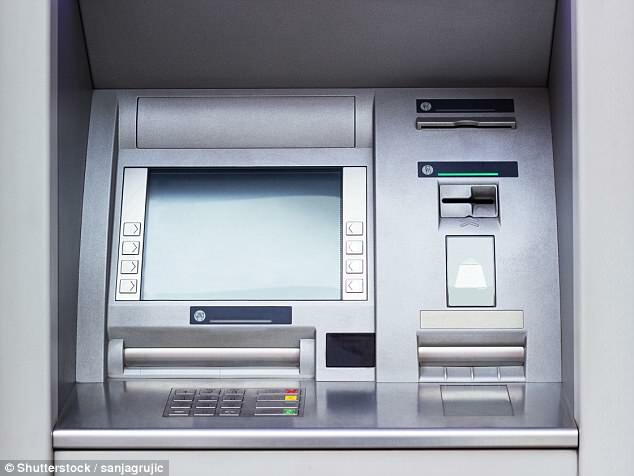 Cash machines are being removed at a ‘frightening pace’ of more than 300 a month with rural communities worst hit, it is claimed. The move is said to be part of a wider break-up of Britain’s banking system that has also seen hundreds of community branches closed with thousands of job losses. 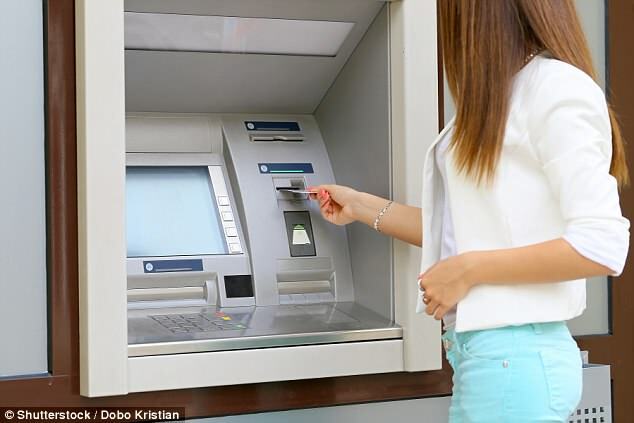 Britain’s current network of 55,000 free-to-use ATMs is on a ‘path to disaster’ – with as many as 25,000 to 30,000 likely to be removed over the next few years, says the ATM Industry Association. Meanwhile, the combined effect of removing cash machines and closing branches is causing real distress to individual customers, claim consumer champions. Small businesses have to spend time and money travelling miles to bank their takings. The figures on cash machine closures come from the consumer group Which? and are based on an analysis of data from the LINK organisation, which oversees the national network. Which? believes there are already 200 communities in Britain that have poor cash machine provision, or no Automatic Teller Machines (ATMs) at all. This is now likely to get much worse. Independent card machine operators have confirmed widespread closures. However the figures published by Which? are hotly disputed by LINK, which insists they are wrong and based on a faulty interpretation of the data. According to Which?, almost 1,500 of the machines – split equally between those owned and run by independent operators and banks themselves – were removed between November 22, 2017, and March 31, 2018. This equates to more than 300 a month, which is a six-fold increase from a steady rate of fewer than 50 closures a month since 2015. The closures appear to be a direct result of changes to the way LINK runs and funds the cash machine network, which come into effect on Sunday. The key change involves cutting the so-called interchange fee that the banks pay the operators of cash machines for every withdrawal made by a customer from 25p to 20p in annual steps over four years. The net effect is that independent operators, such as NoteMachine, argue it will no longer be economical for them to run machines that offer free cash withdrawals. Which? and the Federation of Small Businesses are working together on a campaign to ‘Save Our Cashpoints’. They are calling on the Payment Systems Regulator to conduct an urgent review to fully evaluate how the changes will affect communities and consumers. LINK has accepted that its changes will have an impact on the number of machines in urban areas, where typically they are clustered together. It says it is taking measures to protect those in rural communities or where there is not another free-to-use machine in the area. But the research by Which? shows that the loss of cash machines, which can typically be found in corner shops and petrol stations, has actually been slightly worse in rural locations since news of the changes emerged in November. It said Scotland’s rural network was the hardest hit, suffering a 2.9 per cent loss versus a fall of 2.1 per cent in urban areas. In England, the proportion of machines lost was the same in rural and urban locations at 2.1 per cent. Wales has lost 2.1 per cent of rural machines and 2.3 per cent in urban locations. The editor of Which? Money, Harry Rose, said: ‘With hundreds of cashpoints closing every month we have serious concerns that, far from protecting consumers’ access to cash, LINK’s plans risk destroying it. LINK runs a so-called Financial Inclusion Programme, which promises to pay higher interchange fees to cash machine operators in rural locations to ensure these remain available. It says there is also a guarantee that all free ATMs that do not have another machine within a 1km radius – about two-thirds of a mile – will be exempt from the funding cuts. However Mike Cherry, national chairman of the Federation of Small Businesses, said: ‘It looks as though the prospect of LINK’s interchange fee cut alone is enough to cause cash points to disappear at an alarming rate. ‘Coupled with more than 2,000 bank branch closures over the past three years, this fresh attack on free access to cash is hurting high streets all over the country. ‘Often these ATM closures are happening in areas where the majority of small business customers pay in cash, damaging local growth in the process. ‘Six in ten of our retailers say cashpoints are important to the success of their firm. LINK has confirmed that the number of cash machines will fall over the next few years, but it said the Which? figures are wrong. The organisation said its changes are designed to reflect people switching away from cash to plastic cards for payments which means it is no longer viable to have so many ATMs, particularly in towns and cities.